Watch Libby demo the SwimFin! We genuinely believe this is an amazing product, however, don't just take our word for it, read some of the articles below or click on the links to see the type of media coverage that SwimFin generates everywhere it is sold. and click here to see Libby providing water safety tips on Sunrise! When Amazon arrived in Australia, they made this video featuring our "floaty"! 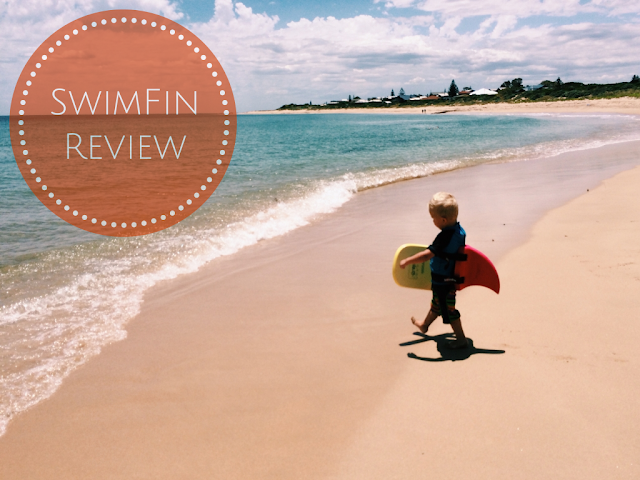 Click the image below to read a fantastic review from WA-based blogger and swim instructor Yellow Dandy. Click here to read the review from blogger "This Mummy Loves..." in the UK. Click here to read a product review in The Guardian Online. Click here for another product review from the UK swimming industry. Click here to read the review from MaBaba. Click here to read an article from the Daily Mail about how Wayne Rooney's (Manchester United footballer) son Kai loves wearing his SwimFin! Click here to see SwimFin featured in VIP magazine. Click here for media coverage from Italy. Some coverage from SwimFin in Mexico! Tags: SwimFin Australia,SwimFin Online,SwimFin Media,SwimFin reviews,kids swim aid,learn to swim children, australia kids floaty,libby trickett,swimming australia,austswim,swim,swimmng,swimmer,water safety,pool safety, shark fin.